Mallory and Savannah are the brains behind “Classy Clutter” and they have some awesome crafts for us. 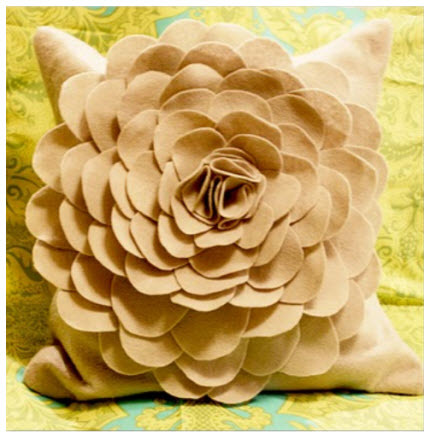 Mallory saw a pillow at Z-Gallerie and decided she could make the same pillow at a fraction of the cost and here it is “How to make a Felt Flower Pillow”! She made one for herself and one for Savannah, now that tells us Mallory is a Classy friend. We thank you Mallory for sharing your pillow tutorial with us.